It’s always better to be safe than sorry! 2% of children and adolescents who play sports will eventually suffer a facial injury that requires medical attention. Though that number seems small doesn’t mean that it can’t happen to you. Make sure your children are properly geared up for whatever sports they play. Thanks for visiting us at Shoreline Endodontics. The American Dental Association (ADA) and the American Association of Orthodontists (AAO) are coordinating with the Academy for Sports Dentistry (ASD), American Academy of Pediatric Dentistry (AAPD) and the American Association of Oral and Maxillofacial Surgeons (AAOMS) to promote National Facial Protection Month in April. National Facial Protection Month strives to raise public awareness and remind parents/caregivers, coaches and athletes to play it safe while playing sports. 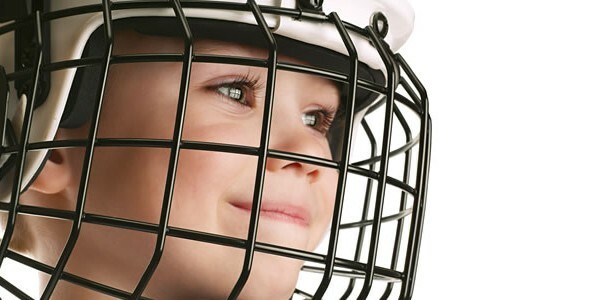 According to the American Academy of Pediatric Dentistry’s Policy on Prevention of Sports-related Orofacial Injuries, sports accidents reportedly account for 10 to 39 of all dental injuries in children and are most often caused by direct hits with a hard object, such as a puck or ball, and player-to-player contact. Wear a mouth guard when playing contact sports. Mouth guards are significantly less expensive than the cost to repair an injury, and dentists and dental specialists can make customized mouth guards that hold teeth in place and allow for normal speech and breathing. Make protective gear mandatory for all sports. Athletes who participate in football, hockey and boxing are required to wear mouth guards. If mouth guards have been proven to significantly decrease the risk of oral injuries, why is it not mandatory in every sport for kids to be required to wear them?